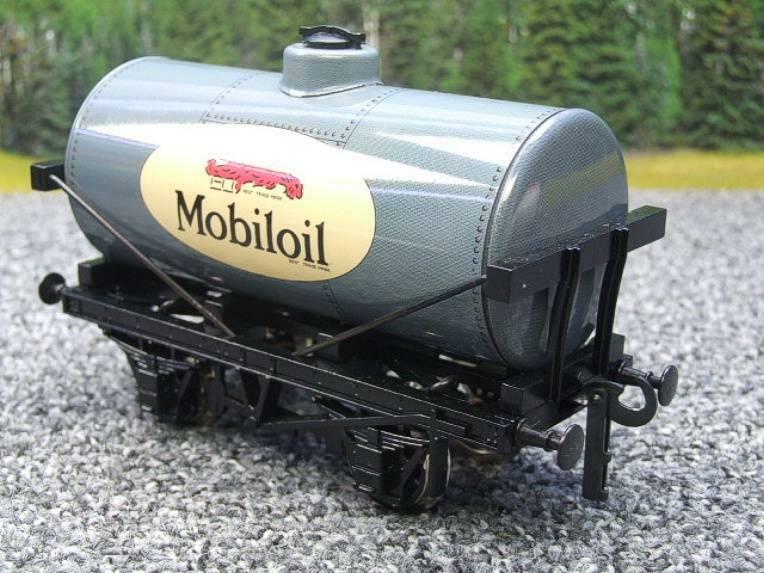 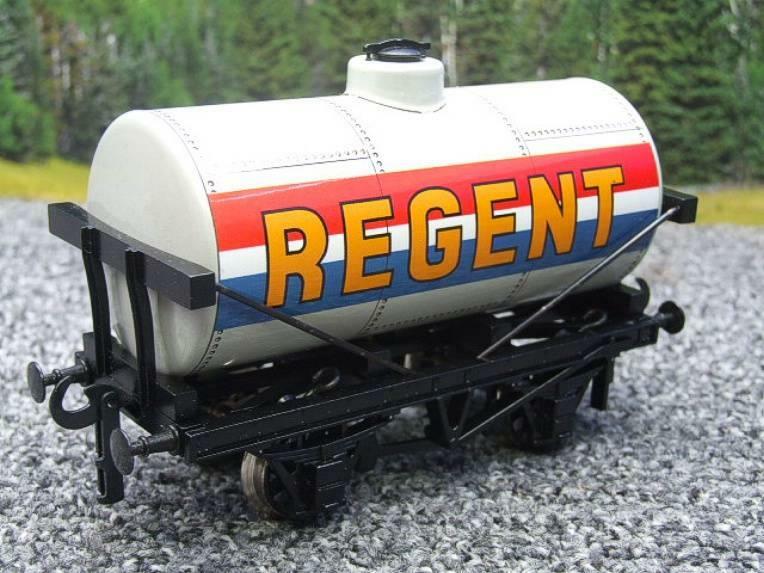 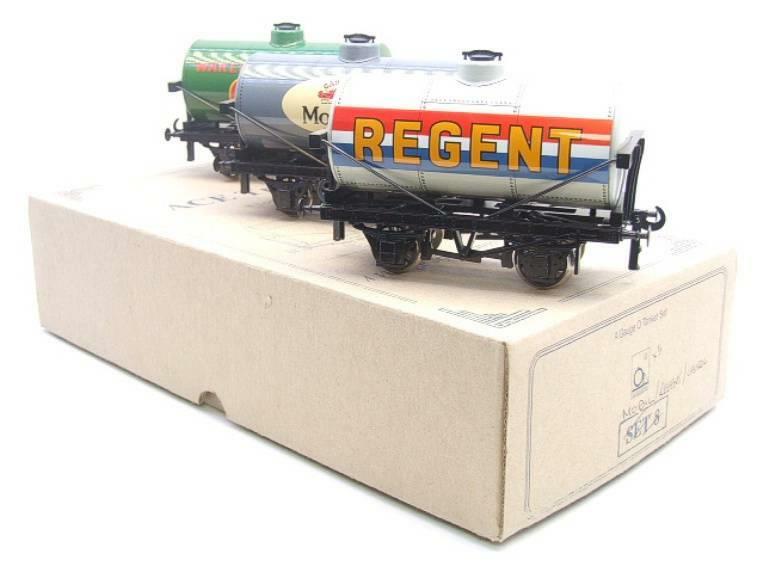 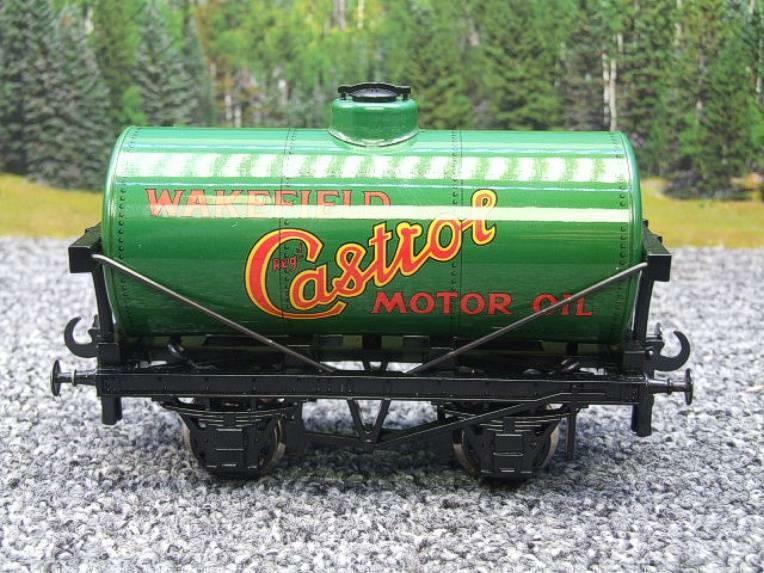 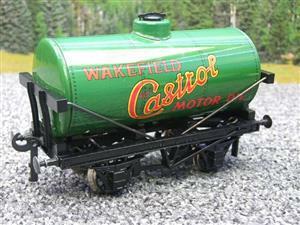 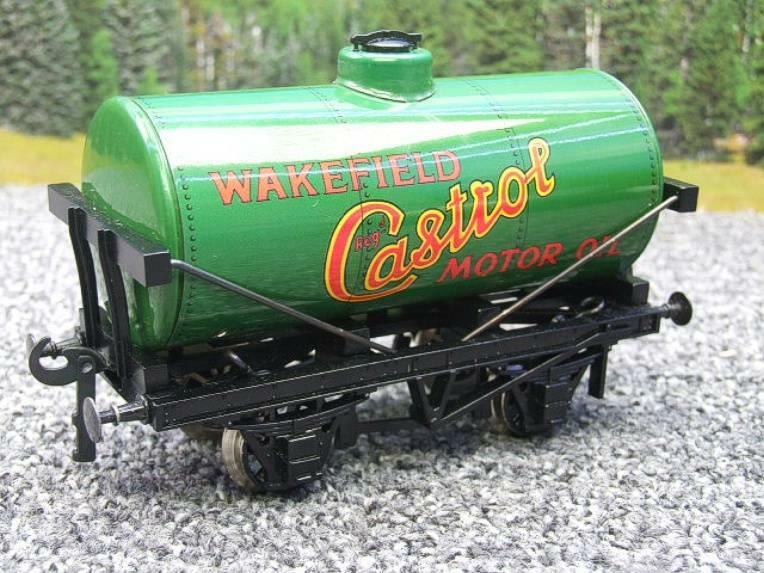 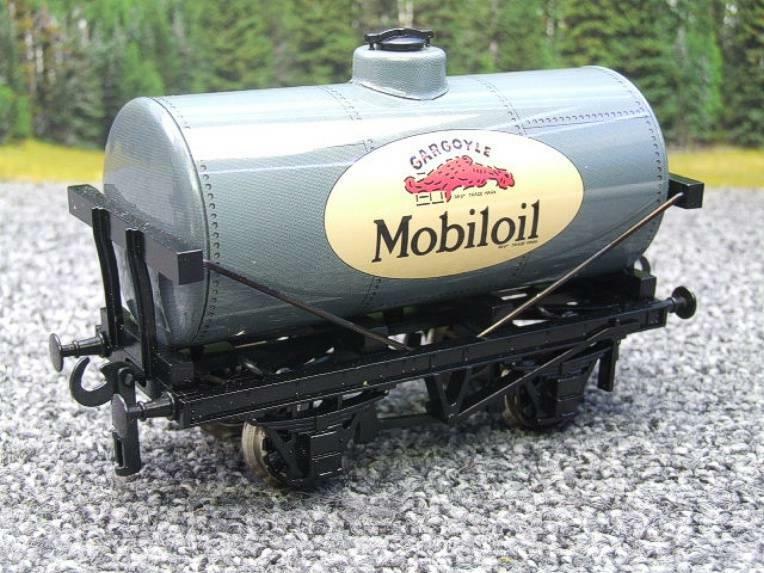 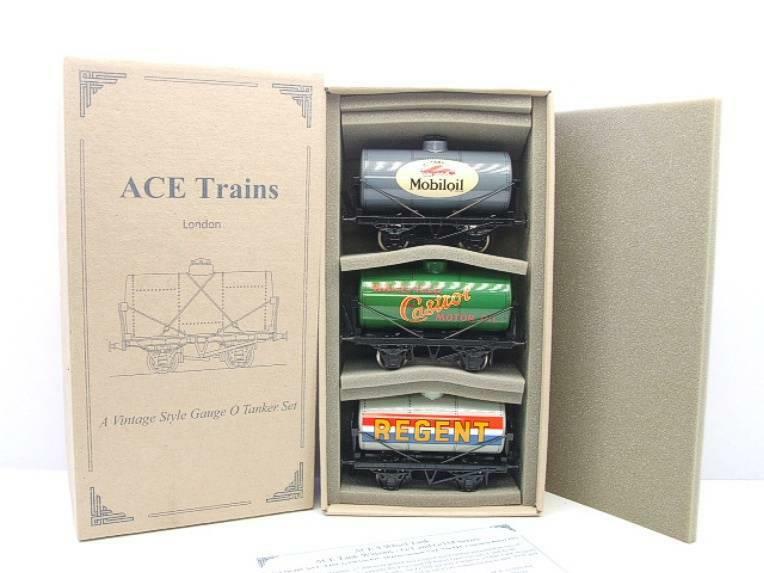 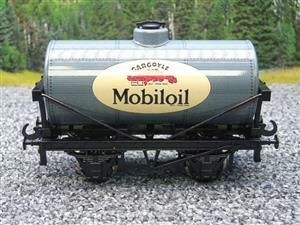 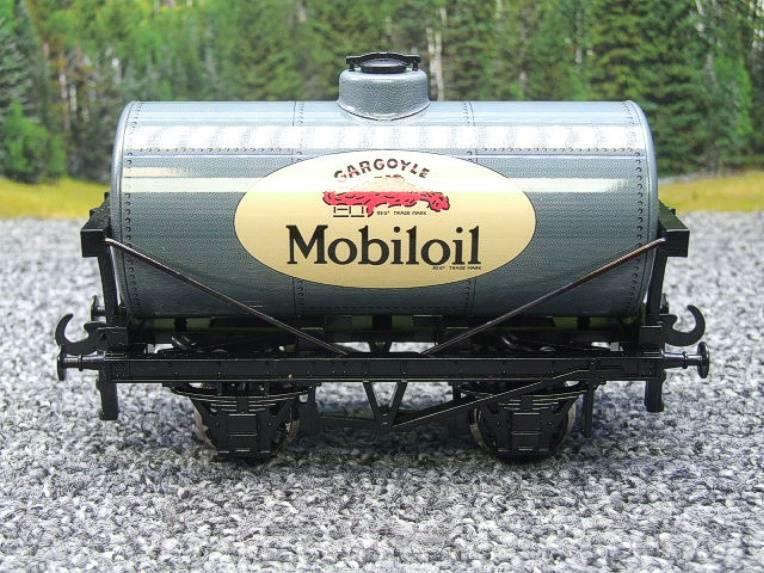 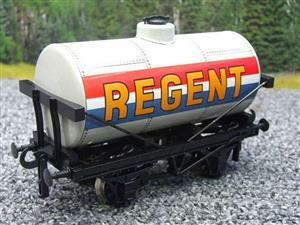 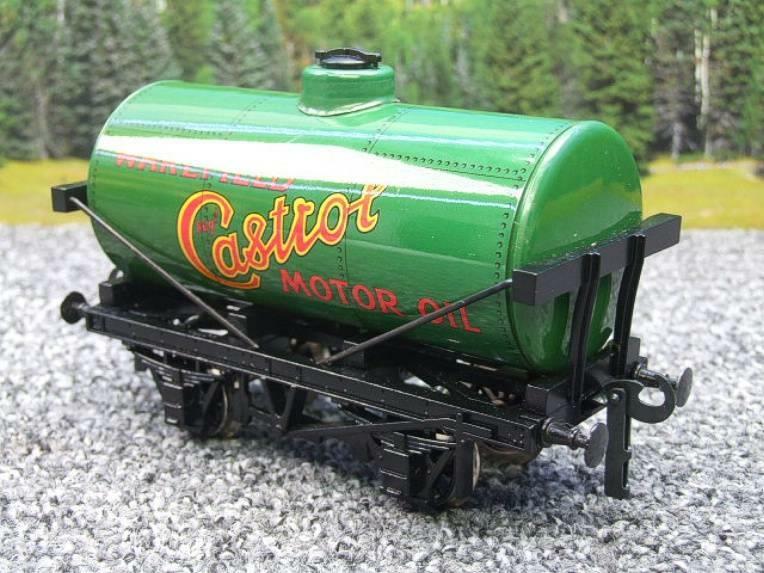 Ace Trains, O Gauge, G1, Four Wheel, Mixed, Fuel Tankers, x3 Set. 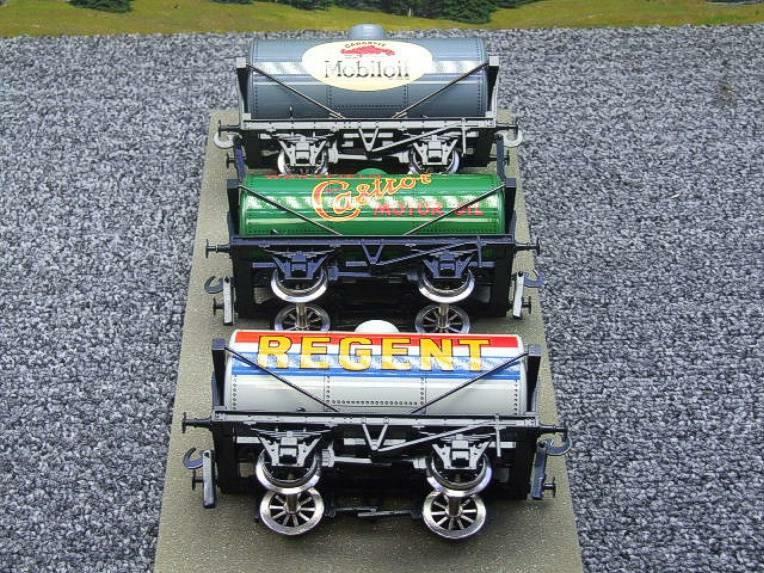 x3 Set, Castrol. 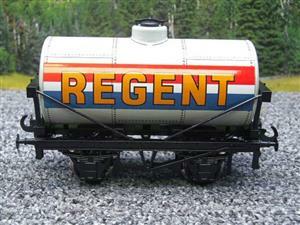 Regent, Molbil Oil. 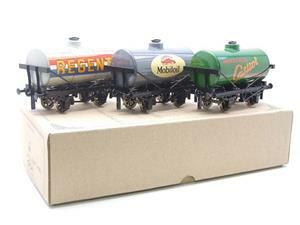 Tin printed bodies with die cast chassis Litho tinplate construction. 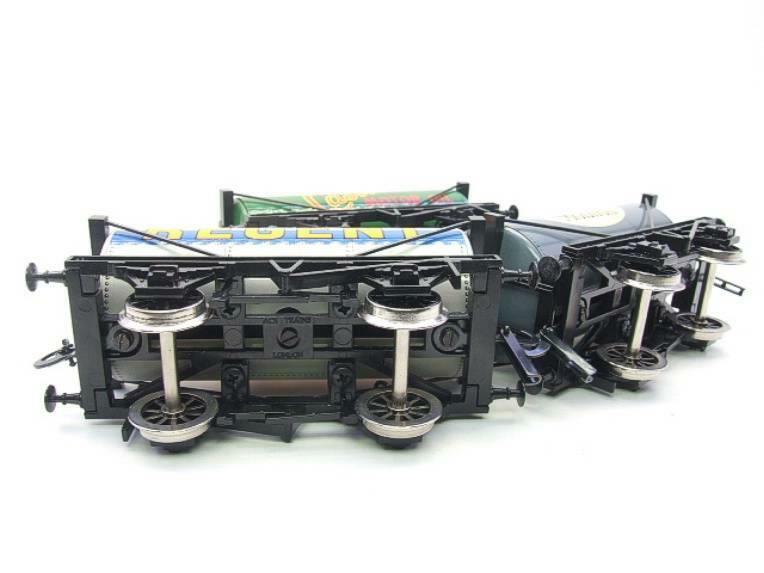 They are in excellent used condition. 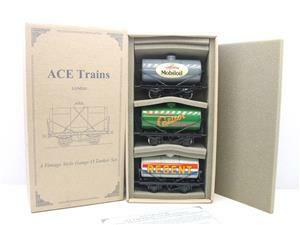 Very good collectors edition set. They are all complete with buffers and coupling's but are missing-removed their rubber secure bands which could be easily replaced and obvious doesn't even really notice. 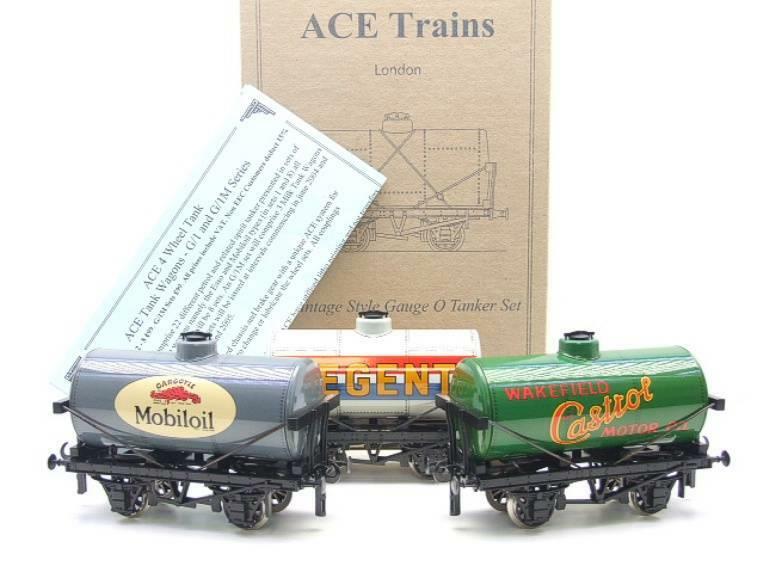 Boxed in a Ace Trains tanker box complete with inner packing which they will be carefully packed in for the posting/shipping of them.